Welcome to South East Slings (formerly East Sussex Slings inc. Eastbourne Sling Library). The Eastbourne Sling Library was set up in July 2011 to provide a service to people wanting to try out different types of baby carriers. It was renamed East Sussex Slings in March 2015, to reflect the wider area covered by the Sling Library, as well as the Consultancy and Retail services. It was then renamed South East Slings in June 2016, prior to relocating to the Hampshire/West Sussex border in September 2016. When my son was born I was overwhelmed by the different choices of baby carrier available and had no idea what would be best for me and my new baby. There seemed so much choice but very little unbiased assistance with what would work best for me. 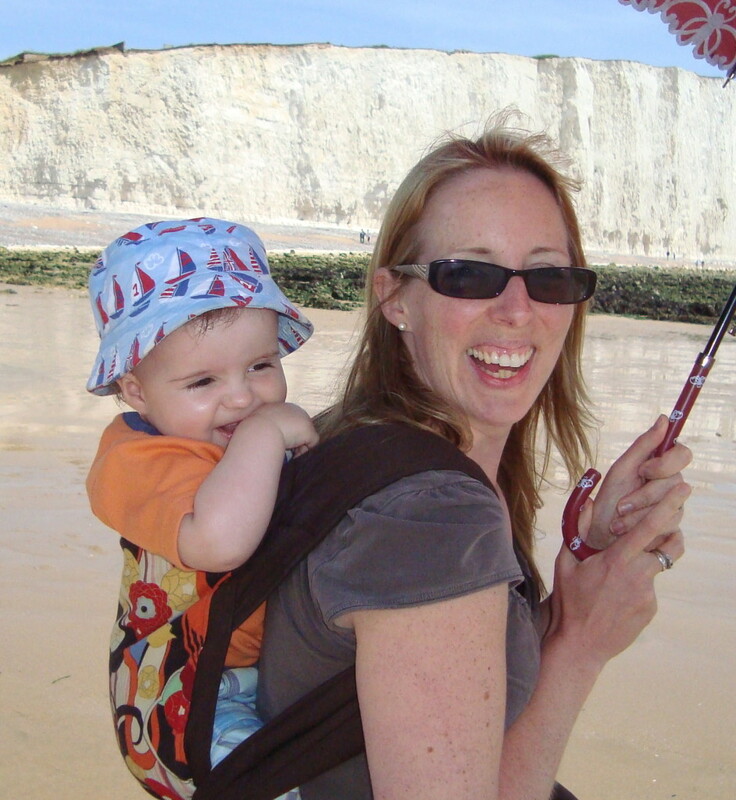 After my second son was born I decided to set up a Sling Library, so other parents would be able to try out baby carriers to see what worked best for them and their lifestyle, before making the decision to purchase. Roamy is a qualified Baby-Carrying Consultant who trained with Slingababy in January 2015 and School of Babywearing in August 2012. Allowing people to hire carriers - either to try before buying or for specific events/holidays. Including some of the most popular carrier brands on the market, we offer the very popular 'try-before-you-buy' scheme, where you have up to 2 weeks to use the carrier as much as you like to ensure it's right for you. If you like it, you keep it. If for any reason it's not for you, you can return it for a refund of the purchase price, minus the 2-week hire fee and outgoing postage costs (if applicable). One-to-one Consultations available in person (in the client's home or Roamy's) or online. Roamy trains Peer Supporters at Sling Libraries across the UK, as part of the Born To Carry team of trainers. If you are unsure which baby carrier would work best for you, we will work with you to choose the most appropriate carrier for your needs for you to hire. This can be done via postal hire on the website, at a one-to-one consultation with our fully qualified Baby-Carrying Consultant (either online or in person) or at one of the groups attended by the Sling Library. If there are a group of you wanting to find out about carrying your baby or child it's also possible to book a group workshop. Full details can be found of all Consultation options on the Consultancy tab at the top. If you know which carrier you would like to try you can hire directly through this website - with the option of local collection or hiring by post. The initial hire period is up to 2 weeks for each carrier hired (which can be extended, providing the carrier is not reserved). You can hire up to 3 carriers at any one time. You are welcome to return the carrier(s) earlier, however, subsequent hires are still treated as a new hire. If you wish to reserve a carrier for collection/postage for a date in the future, the hire fee is payable in advance to secure the reservation. The hire can be made via the website, with payment by card, Paypal or bank transfer. The hire fee is non-refundable and non-transferable in the event of a cancellation or no-show.